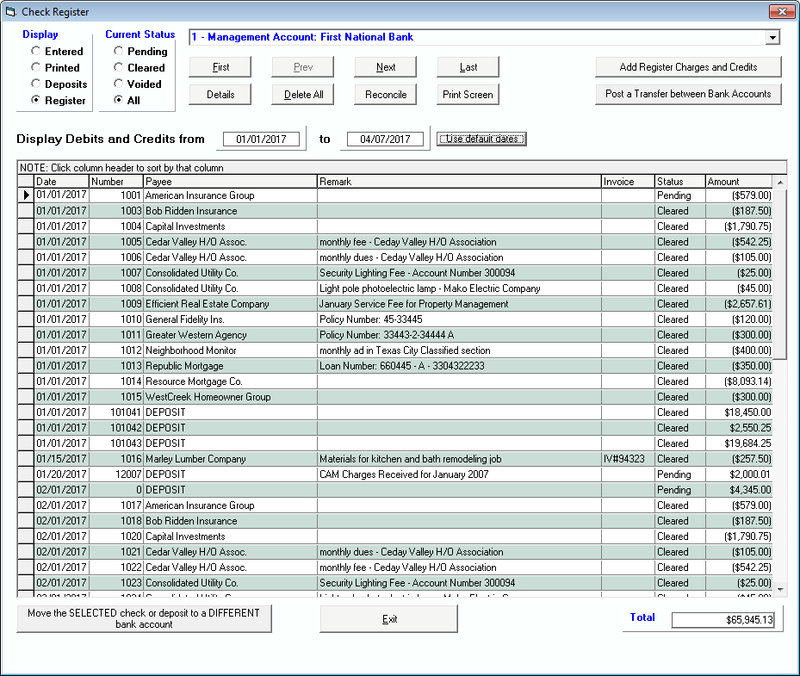 Our versatile rental software with check registers and reconciliation enables you to reconcile to your bank statement. 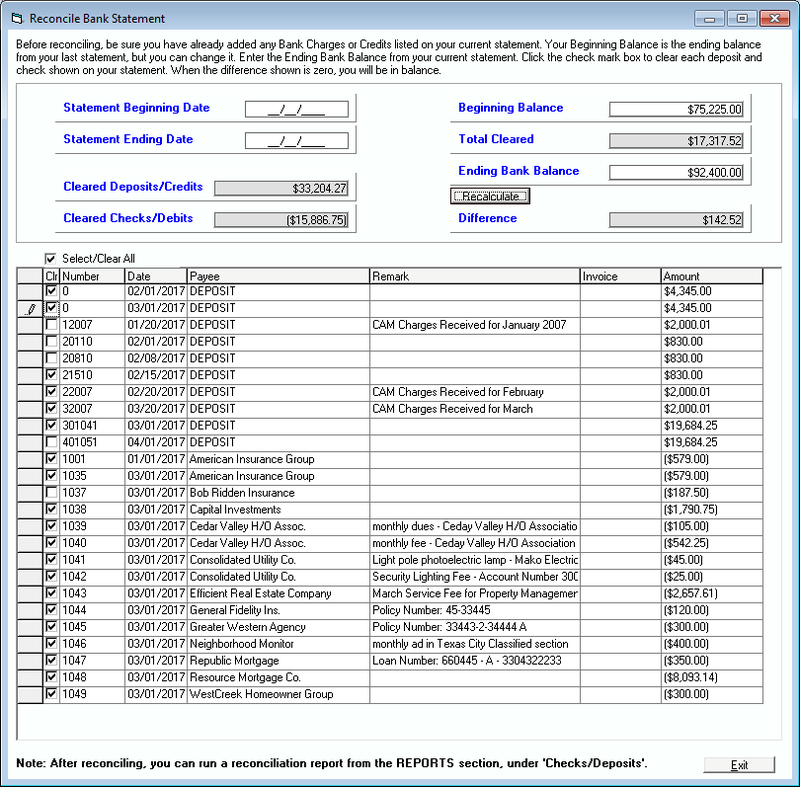 The check register is easy to use and maintain. At the top, you can display deposits, checks that are cleared, voided, printed, entered (waiting to be printed), your complete register, or limit results to pending (not reconciled). You can also show transfers that you have made between different bank accounts and add debits and charges directly into the register. Click on the header at the top to sort by a column. It’s easy to find a check or deposit by date, check number, amount, invoice number, or even by remark. View individual checks or deposits by clicking on the row, then on the “Details” button, to see all transactions related to that item. For example, select a deposit to instantly see all rent checks within that deposit. Select any vendor check to see all locations where work was performed. A separate button allows you to add bank charges or credits, or transfer funds to another account through a debit or credit. Reconciling your bank account is easier too. You can clear all pending checks at once or individually. If you need to leave the screen and post an adjustment, Tenant File will save your current entries so you don't have to start over when you come back to finish the reconciliation. Once you are finished, your ending bank balance is saved for the next time you reconcile.